Ho Chi Minh first emerged as an outspoken voice for Vietnamese independence while living as a young man in France during World War I. Inspired by the Bolshevik Revolution, he joined the Communist Party and traveled to the Soviet Union. He helped found the Indochinese Communist Party in 1930 and the League for the Independence of Vietnam, or Viet Minh, in 1941. At World War II’s end, Viet Minh forces seized the northern Vietnamese city of Hanoi and declared a Democratic State of Vietnam (or North Vietnam) with Ho as president. Known as “Uncle Ho,” he would serve in that position for the next 25 years, becoming a symbol of Vietnam’s struggle for unification during a long and costly conflict with the strongly anti-Communist regime in South Vietnam and its powerful ally, the United States. 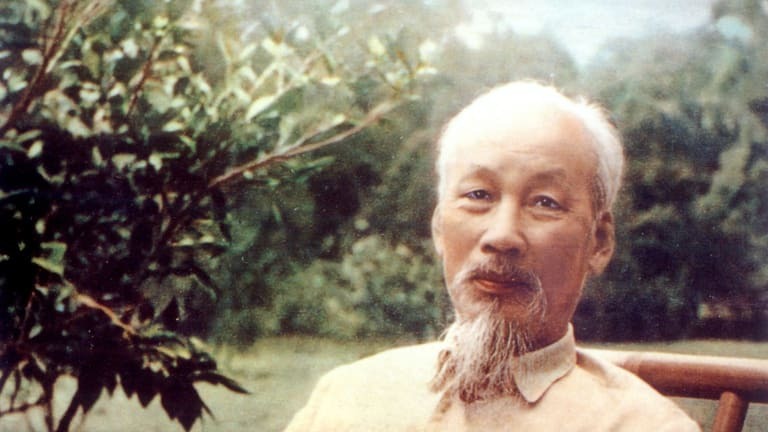 Ho Chi Minh was born Nguyen Sinh Cung on May 19, 1890, in a village in central Vietnam (then part of French Indochina). In 1911, he found work as a cook on a French steamer and spent the next several years at sea, traveling to Africa, the United States and Britain, among other locations. By 1919, he was living in France, where he organized a group of Vietnamese immigrants and petitioned delegates at the Versailles Peace Conference to demand that the French colonial government in Indochina grant the same rights to its subjects as it did to its rulers. Did you know? In February 1967, Ho Chi Minh responded to a personal message from U.S. President Lyndon Johnson by announcing that the North Vietnamese would never negotiate under the threat of bombing. Inspired by the success of Vladimir Lenin’s Bolshevik Revolution, he joined the new French Communist Party in 1920 and traveled to Moscow three years later. He soon began recruiting members of a Vietnamese nationalist movement that would form the basis of the Indochinese Communist Party (founded in Hong Kong in 1930) and traveled the world, including Brussels, Paris and Siam (now Thailand), where he worked as a representative of the Communist International organization. When Germany defeated France in 1940, during World War II, Ho saw it as an opportunity for the Vietnamese nationalist cause. Around this time, he began to use the name Ho Chi Minh (roughly translated as “Bringer of Light”). With his lieutenants Vo Nguyen Giap and Pham Van Dong, Ho returned to Vietnam in January 1941 and organized the Viet Minh, or League for the Independence of Vietnam. Forced to seek China’s aid for the new organization, Ho was imprisoned for 18 months by Chiang Kai-Shek’s anti-Communist government. With the Allied victory in 1945, Japanese forces withdrew from Vietnam, leaving the French-educated Emperor Bao Dai in control of an independent Vietnam. 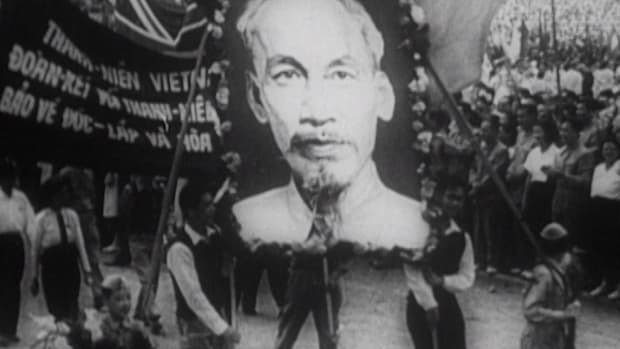 Led by Vo Nguyen Giap, Viet Minh forces seized the northern city of Hanoi and declared a Democratic State of Vietnam (known commonly as North Vietnam) with Ho as president. Bao Dai abdicated in favor of the revolution, but French military troops gained control of southern Vietnam, including Saigon, and Chiang Kai-Shek’s Chinese forces moved into the north according to the terms of an Allied agreement. Ho began negotiations with the French in efforts to achieve a Chinese withdrawal as well as eventual French recognition of Vietnam’s independence and reunification of North and South Vietnam. But in October 1946, a French cruiser opened fire on the town of Haiphong after a clash between French and Vietnamese soldiers. Despite Ho’s best efforts to maintain peace, his more militant followers called for war, which broke out that December. During the First Indochina War, the French returned Bao Dai to power and set up the state of Vietnam (South Vietnam) in July 1949, with Saigon as its capital. Armed conflict between the two states continued until a decisive battle at Dien Bien Phu ended in French defeat by Viet Minh forces. The subsequent treaty negotiations at Geneva (at which Ho was represented by his associate Pham Van Dong) partitioned Indochina and called for elections for reunification in 1956. 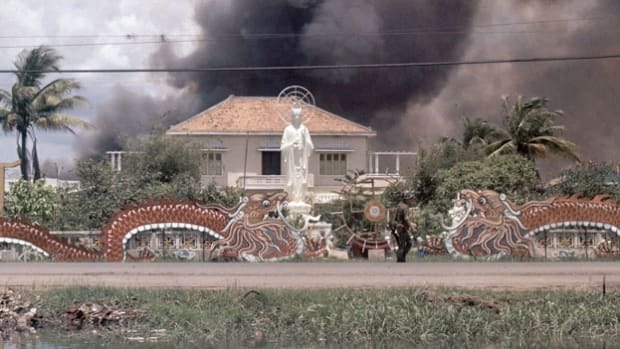 Backed by the United States, the strongly anti-Communist South Vietnamese government of Ngo Dinh Diem refused to support the Geneva accords, and put off elections indefinitely. 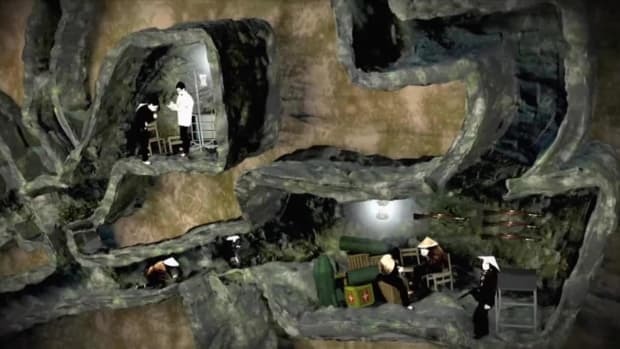 In 1959, armed conflict broke out again, as Communist guerrillas known as the Viet Cong began launching attacks on targets (including U.S. military installations) in South Vietnam. The Viet Cong appealed to North Vietnam for help, and that July the central committee of Ho’s Lao Dong (Worker’s Party) voted to link the establishment of socialism in the North to the cause of unification with the South. At this same meeting, Ho ceded his position as party secretary-general to Le Duan. He would remain nominally as North Vietnam’s head of state during the Vietnam War, but would take a more behind-the-scenes role. To his people, “Uncle Ho” also remained an important symbol of Vietnam’s unification. The U.S. continued to increase its support of South Vietnam, sending economic aid and–beginning in December 1961–military troops. 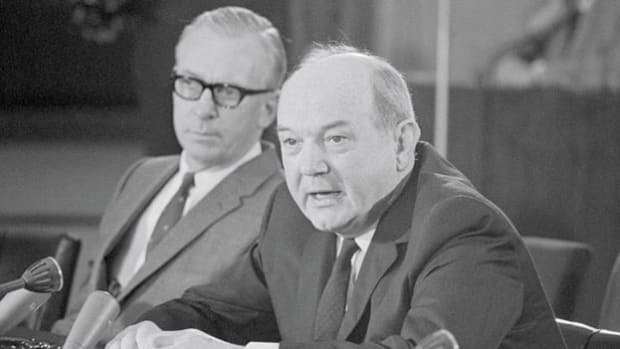 American air strikes against North Vietnam began in 1965, and in July 1966, Ho sent a message to the country’s people that “nothing is as dear to the heart of the Vietnamese as independence and liberation.” This became the motto of the North Vietnamese cause. On the heels of North Vietnam’s Tet Offensive in early 1968, U.S. President Lyndon Johnson made the decision to halt escalation of the war and called for peace talks to begin. The conflict was still ongoing by September 2, 1969, when Ho Chi Minh died in Hanoi at the age of 79. The last U.S. troops left Vietnam in March 1973, and in April 1975 Communist forces seized control of Saigon, renaming it Ho Chi Minh City.